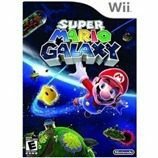 More than 5 million copies of Nintendo Super Mario Galaxy have been sold in the US, making it the 9th Wii game with over 5 million sold, according to a statement released by Nintendo. The previous Wii games with sales over 5 million are: Wii Play (13.06 mil), Mario Kart Wii (11.3 mil), New Super Mario Bros. Wii (8.86 mil), Wii Fit (8.18 mil), Wii Fit Plus(7.32 mil), Wii Sports Resort (6.45 mil), Just Dance 2 (5.61 mil), and Super Smash Bros. Brawl (5.43 mil). Nintendo said the next game expected to cross over the 5 million mark is Just Dance 3, which currently has sales of 4.61 million. The company also said that they have sold a total of more than 39 million Wii gaming consoles since the device was launched in 2006. Last month alone, 228,000 Wii consoles were sold. A new version of the Wii, the Wii U, is expected to debut toward the end of 2012. Nintendo also announced over 4 million Pokémon Black Version and Pokémon White Version Nintendo DS games (combined) have been sold in the US.